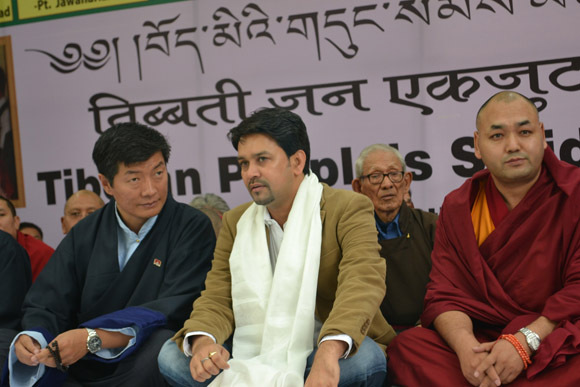 » Over 30 Indian Parliamentarians and Political Leaders Pledge Action for Tibet at the Final Day Event of Tibetan People’s Solidarity Campaign. 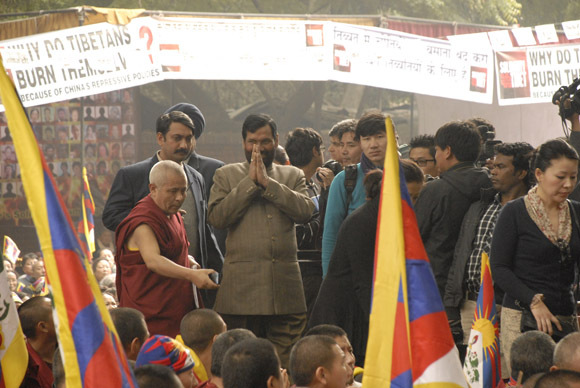 February 2, 2013, Delhi: Mass gathering with Indian Supporters and speeches by Indian Parliamentarians and prominent Indian leaders marked the final day of Tibetan People’s Solidarity Campaign. 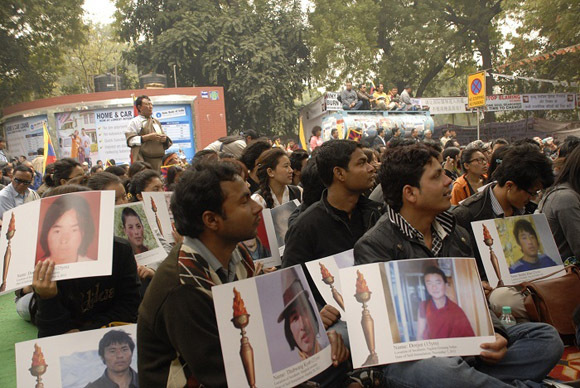 Over 1500 Indian supporters and 6000 Tibetans took part in the daylong event at Jantar Mantar. 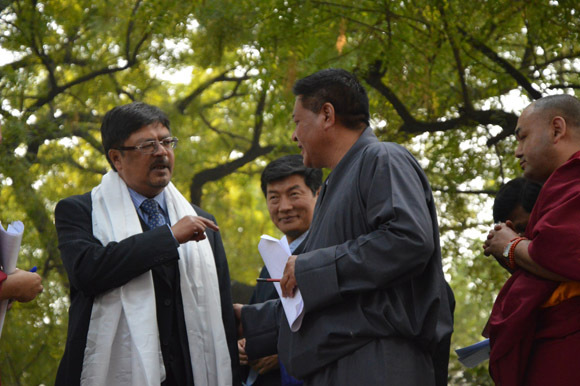 Over 30 Indian leaders: Members of Parliament, Party leaders and Youth leaders addressed the gathering. 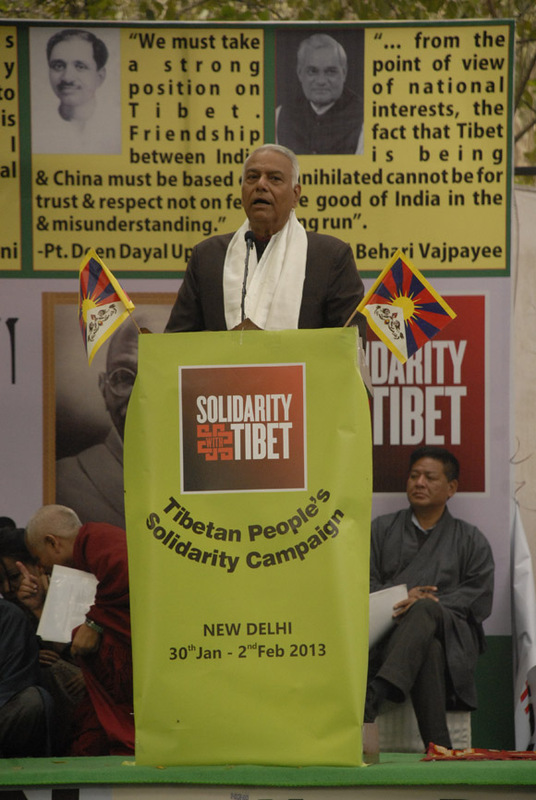 Shri Yashwant Sinha, former Finance and Foreign Minister and Convenor, All Party Indian Parliamentary Forum for Tibet, Shri Ram Vilas Paswan, former Railway Minister and present MP & President of Lok Jan Shakti Party, Ravi Shankar Prasad, MP, Chief Spokesperson for BJP and Rajya Sabha Deputy leader of Opposition, Chandan Mitra, MP and National Spokesperson for BJP were the prominent speakers. 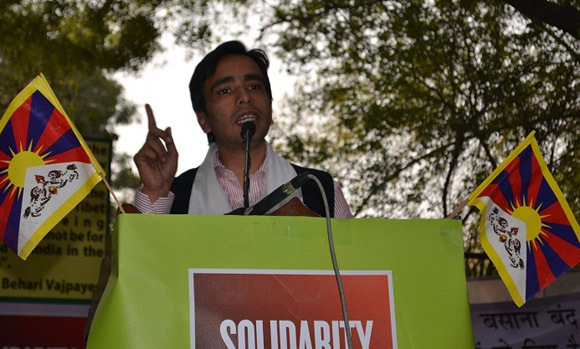 Other leaders include Shri Balbir Punj, MP and National Spokesperson for BJP, Shri Anurag Singh Thakur, MP, BJP, Smt Bimla Kashyap, MP, BJP, Shri Alok Tiwari, MP, Samajavadi Party, Shri Jayant Chaudhary, MP and General Secretary of Rashtriya Lok Dal (RLD), Shri Inder Singh Namdari, former minister of Bihar state and former speaker of Jharkhand State Legislative Assembly, Shri Vijay Kumar Malhotra, MLA, State Opposition leader of Delhi, Shri S.M Qamar Alan, National Secretary of Rashtriya Janta Dal (RJD), Shri Ranjeet Gupta, former Ambassador and many others. TPIE Speaker Mr. Penpa Tsering was the Master of Ceremony for the day. 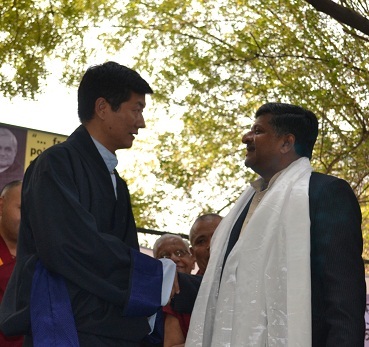 The 4-day ‘Tibetan People’s Solidarity Campaign’ concluded with the delivery of closing remarks by Sikyong Dr. Lobsang Sangay and the conveying of vote of thanks by Deputy speaker of TPIE, Khenpo Sonam Tenphel.